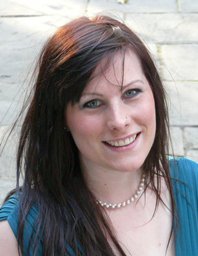 Philippa a is PhD researcher in the Tyndall Centre for Climate change research. Her research is funded by the EPSRC through the University of Manchester Centre for Doctoral Training. Working with Dr Sarah Mander and Dr Dana Abi Ghanam Philippa is bringing together literature on domestic demand-side response and energy justice to evaluate energy system innovations on different facets of society. Prior to this PhD Philippa worked at Keele University supporting the development of the sustainability strategy, and embedding sustainability into the core and co-curriculum for undergraduate students. Whilst in this role Philippa was elected to the national Members Advisory Council of the EAUC, the Environmental Association of Universities and Colleges. Philippa is an Associate of the Higher Education Academy, and is passionate about sustainability education. She has experience delivering HE material using different pedagogies to different group sizes. Prior to working in HE Philippa worked for the Young Foundation, a social innovation charity where she supported a future leaders programme in two cities. She also delivered the National Citizenship Service supporting 16 and 17 year olds reflect on their role in society and how to have a positive impact. Her MA was from Forum for the Future, a leading sustainable development charity, delivered in collaboration with Middlesex University. Whilst doing this she was lucky enough to get an incite about sustainability innovations within different facets of society through placements (e.g. the Environmental Audit select committee, Bank of America Merill Lynch, RSPB). Philippa's also holds a BSc from the University of Birmingham. She is passionate about all things outdoors and spends her spare time kayaking, climbing and wandering.